SATURDAY 11th FEBRUARY, THE CELTIC ROSS HOTEL, ROSCARBERY, CO CORK. BB, dinner, show and wine reception for the amazing price of €85pp. 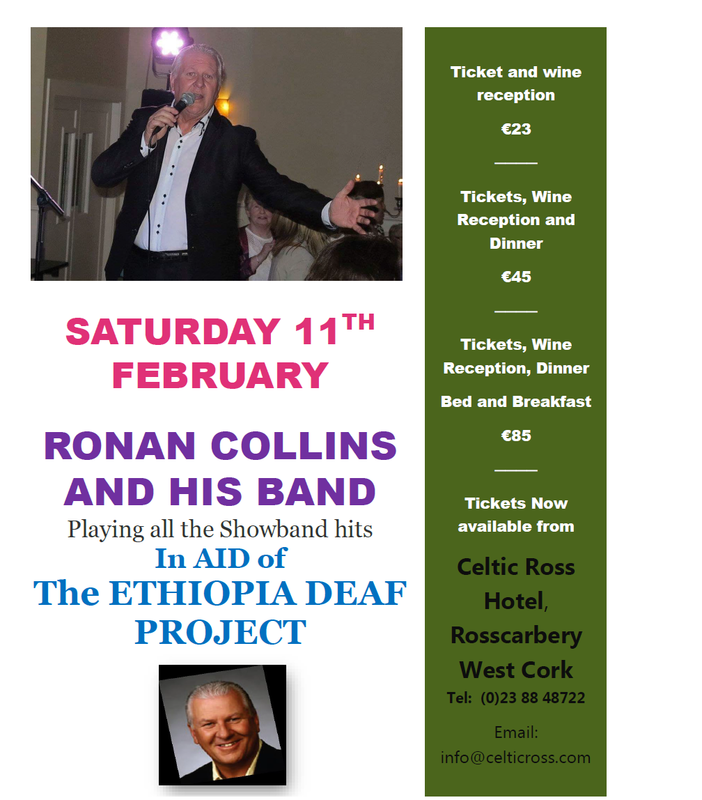 All funds raised go to the Ethiopia Deaf Project a 100% voluntary group that has built and now is funding a school for deaf children in Ambo Ethiopia. For tickets Contact the Celtic Ross Hotel, Rosscarbery, West Cork, Ireland.